I had been working as a nursery nurse in a maternity hospital in a deprived area of London which was both the main intake for orthodox Jewish community and Holloway prison. It was the early 1980s at the time of the riots and a bit of a culture shock to someone who had grown up in the comparatively prosperous suburbs of Oxford. I was very naive and shy then but I learned a lot about life whilst I was there just from talking to my patients and witnessing the many challenges people faced. I was once “mugged” on my way to work in my nurses’ uniform and had to become street wise very quickly in order to survive. Thirty five years later I look back on my time in London as a valuable learning experience as it led to me deciding to move to York to train as a mental health nurse which I have never regretted even for a moment. 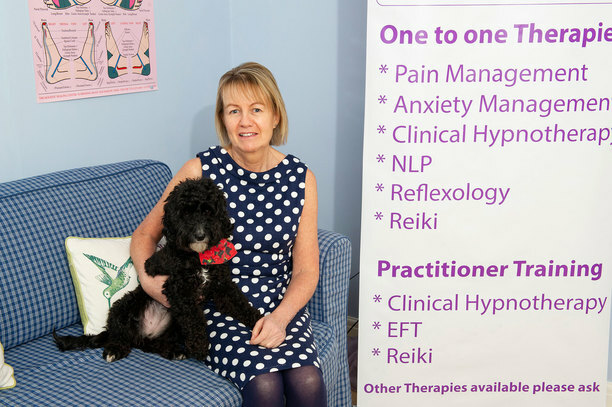 I originally set up my practice in 2007 as a massage therapist, Reiki practitioner and reflexologist. I did this partly as I had moved away from clinical practice in to management and missed the direct patient contact but also as I had a keen interest in complementary therapies. Over the last 10 years, much of my spare time has been spend attending further training and development in order to improve my skills and knowledge as a therapist and this has included studying for an Adult Education Teaching Certificate, becoming a qualified baby massage and massage in schools instructor and then a Clinical Hypnotherapist, EFT and NLP practitioner.